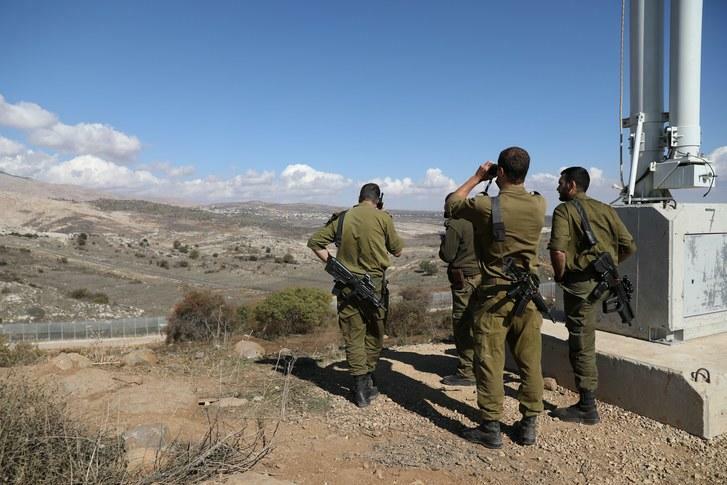 Israeli forces at border fence along Israeli-occupied side of the Golan Heights and Syria, via Reuters. Mikdad further warned Lund that Syria will respond with force should Israel continue its attacks on Syria, which have occurred more than a dozen times over the past year, but which seem to have recently paused following Russia's announced delivery of the advanced S-300 anti-air missile defense system to Damascus late last year. “We will not hesitate to confront Israel,” Syria's Mekdad said. “We are also not scared away by its [Israel’s] supporters who are helping to perpetuate the occupation of the Golan,” he added. Damascus' firm warning appears a response to a controversial bill recently under renewed consideration by US Congress, co-sponsored by Republican Senators Ted Cruz and Tom Cotton, and Democratic Rep. Mike Gallagher, which aims to give formal US recognition of Israel’s sovereignty over the Golan Heights region. Meanwhile, multiple Israeli political leaders have responded to Syria's historic claim to the Israeli-occupied Golan and willingness to go to war over it. While speaking on a visit to the Golan Heights, Blue and White party politicians Gabi Ashkenazi, Yair Lapid, Benny Gantz and Moshe Ya'alon vowed, "It is ours and it will stay ours" — certainly a dominant sentiment that cuts across Israeli party lines. "We will increase the numbers of residents in the Golan, sending a resounding message to all - we will never relinquish the Golan Heights," Gantz said, according to The Jerusalem Post. "We will enlist the support of the US and the international community to promote Israel's interests on our northern border," he added. This comes after last month the Syrian Army solidified its hold over its side of the occupied Golan after last year defeating al-Qaeda and ISIS groups who had held the Quneitra area for years prior during the Syrian war. The Syrian Army has sent troop reinforcements to a base in the Quneitra area bordering the Golan Heights, according to the Lebanese Al-Masdar News website. The report came just 24 hours after Syria placed its air defenses on high alert across the western part of the country. This is reportedly the first time Syria has reinforced the border since beginning its military operation in the Quneitra area. The Assad government had long blamed the Israeli Defense Forces of allowing and facilitating the presence of al-Qaeda and ISIS terrorists on the Syrian side of the Golan border area prior to the the Syrian Army liberating Quneitra. According to a 2017 Wall Street Journal report Israel and Saudi Arabia had aligned to fund and supply radical groups across the Golan border from the opening years of the conflict. At that time the WSJ had confirmed the already "open secret" of "Israel supplying Syrian rebels near its border with cash as well as food, fuel and medical supplies for years, a secret engagement in the enemy country’s civil war aimed at carving out a buffer zone populated by friendly forces."